Shopping for gifts in local boutiques across the U.S.
’Tis the season again for holiday shopping, and let’s face it—shopping during the holidays can be as fun as wearing a hot sweater on a sweltering summer day. When we do our holiday shopping, I can’t wait to get out of the big box stores and malls and over to a more quaint part of town that offers meandering streets with small storefronts. In this little corner of heaven in cities across America, each street-front window is adorned with bright, handcrafted displays, beckoning you in to discover its hidden treasures. Whether it is in my hometown of Seattle, or on a getaway to top U.S. cities with family and friends, I love to discover hidden holiday-shopping gems and hunt down the best boutiques for unique, one-of-a-kind, and local artisanal gifts. Here are a few of the best cities in which to relax, eat, and shop until you drop this holiday. San Diego—with its laid-back, beach-loving style—offers holiday shoppers like us the opportunity to check off holiday gift lists and warm our toes in the sand. Here are a couple curious boutiques I’m scouting for my next trip. • SoLo. SoLo in San Diego is a boutique, upscale collective shop of eight artisans. The shop is filled with a unique mash-up of furniture, vintage-inspired items, books, jewelry, and handcrafted wooden toys—perfect for the seeker of unique gift items. • Simply Local San Diego. Simply Local San Diego is a merchant marketplace featuring specialty gifts and items from more than 55 artisans and locally owned businesses in and around San Diego. Seattle’s neighborhoods are full of fun and quirky boutiques with fanciful items to suit any style. If urban is more your scene, you will love the hipster vibe of Ballard Avenue, on the north end of downtown Seattle. Or, if you are looking for a low-key place with plenty of parking, check out the outdoor Gilman Village for the holidays in Issaquah, Washington, a short 20-minute drive east of downtown. • LUCCA great finds. LUCCA great finds on the historic Ballard Avenue is a fantastic spot for inspired gifts. From stationary to books, you will think you have walked into a little French boutique on a side street of Paris. Viewfinder Tip: Make holiday shopping an adventure with a trip to your favorite city. • Lucky You. Lucky You—in Gilman Village in Issaquah, Washington—is my go-to store for gifts for any occasion. From home decor to birthday and holiday gifts with a personal touch, Lucky You has literally something for everyone on your gift list. I’ve visited Austin just twice in my life, but fell in love at first visit. This small Texas city oozes fun with friendly people, great music, killer BBQ, and some great shopping. Here are a couple of boutiques I’d be shopping at if I were in Austin this holiday. • Uncommon Objects. It is no secret that I’m a vintage-shopping junkie. Why not shop vintage this holiday? 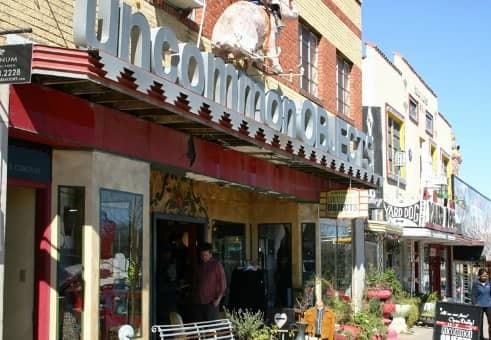 Uncommon Objects is a vintage shop located on the hip street of South Congress Avenue. • Creatures Boutique. Creatures Boutique, also located on South Congress Avenue in Austin, is a perfect stop for the hip fashionista on your list. I’m drooling over this boutique’s collection, from beautiful leather handbags to vintage-inspired T-shirts and jewelry. No matter where your travels take you this holiday season, remember that some of the most unique and personal gifts can be found by shopping in local stores. The added benefit? Your dollars spent while traveling will also support your destination’s local businesses and artisans. What are your favorite cities for holiday shopping? 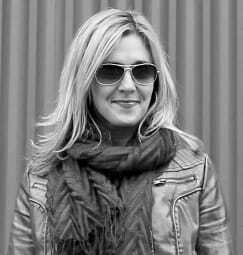 Photo courtesy of Visit Austin.